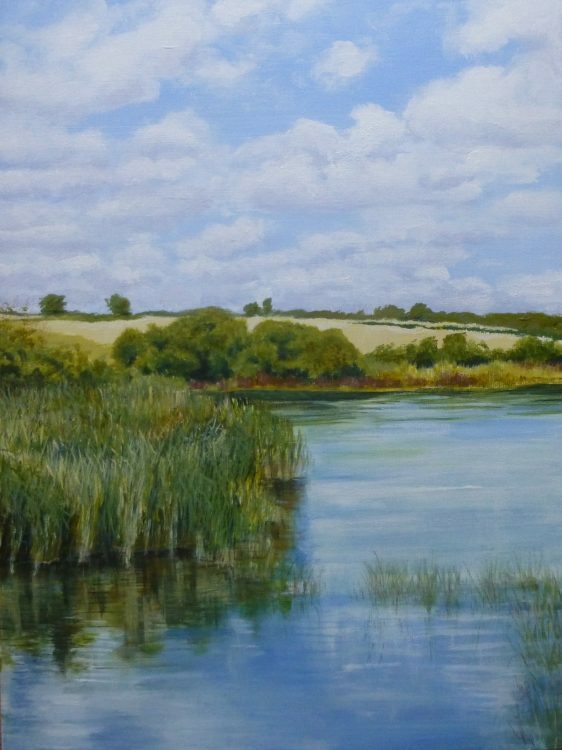 Just finished this afternoon – Fingringhoe Wick: August. This is the view from the Kingfisher Hide, looking slightly to the left inland. 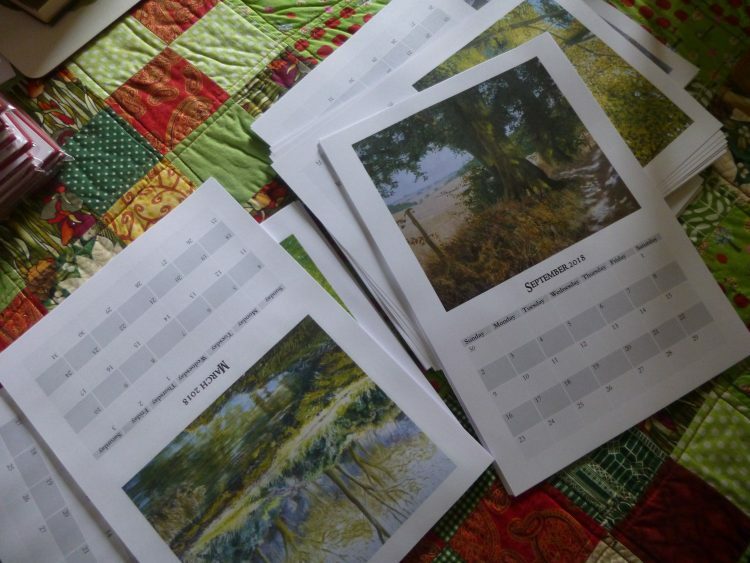 I’ve been busy printing calendar pages, too – getting ready for Open Studios in all sorts of ways. The only thing I need to do now is print the calendar covers, bind them all, order more Essex Wood cards from the wonderful Point Graphic printers in Maldon, collect my ordered picture frames, frame a pile of paintings . . . . .